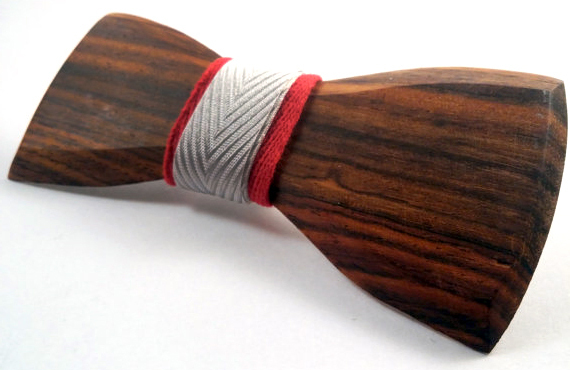 Wooden Bow Ties, Simple Shape, Inspired Design. Accessories Beautifully Decorated for Pizzaz & Flair. 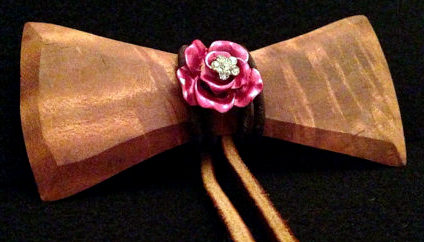 Would you wear wood as an accessory? 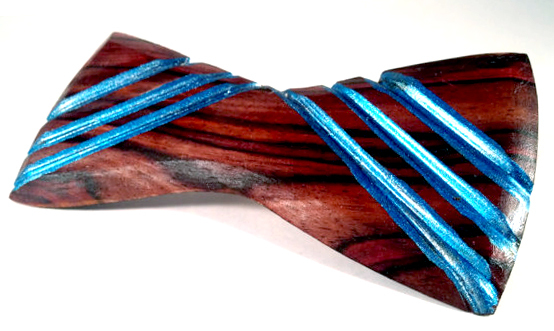 Perhaps if it was as artfully conceived as the unique wooden bow ties Jorge Danhke and his friends of NicArte. A rather unusual material for men's dress attire, wood can actually make the ideal tie because you don't have to tie it! Plus, the range of options for adding flair to these ties is limitless. Jorge and his collaborators start by carving simple, stylized shapes reminiscent of the well known bow tie. They always select woods with beautiful color and grain that are striking all one their own. From there, he takes this timeless accessory and makes it modern with paint, fabric, resin inlay and more. You can choose from simple and fun to extraordinarily decked out depending on the occasion. 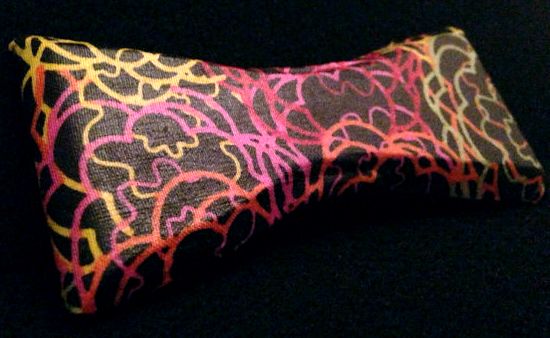 Jorge is constantly testing new design motifs for his ties. Some of his latest successes include resin inlay that glows in the dark! Talk about making a statement! Each of his pieces are light and easy to clip on so they can be added to any outfit because every day's attire is a chance to express yourself!